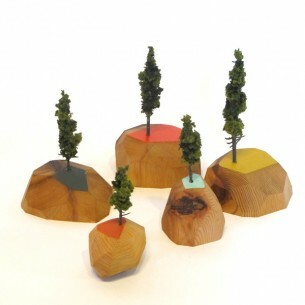 These little sculptures are inspired by Portland’s local mountain majesty Mt. Hood and Richard Buckminster “Bucky” Fuller. Made from reclaimed old growth fir scraps, varying in sizes from 5″ to 8″. Available in the web store.